An international buzz band upon the release of 2007’s What’s the Time Mr. 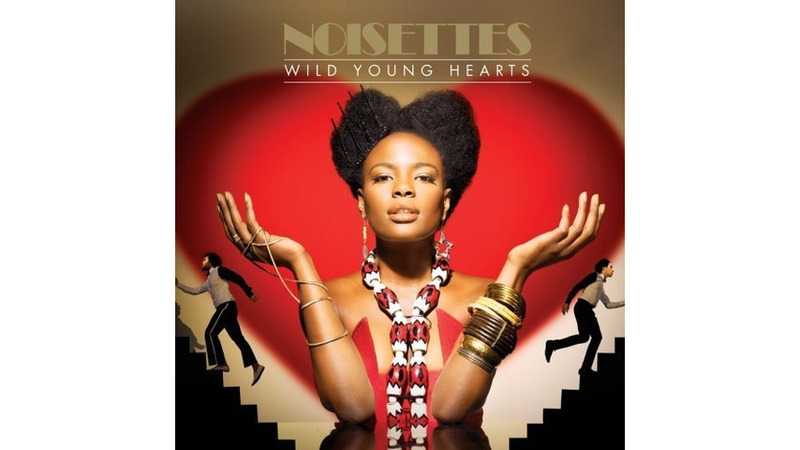 Wolf?, their steamrolling debut set of garage blues and soulful punk, Noisettes seemed poised to carve out a long career as the 21st century’s answer to Janis Joplin’s work with Big Brother and the Holding Company. Just two years later, you’d be hard-pressed to find a band that has undergone a bigger renovation, as the London trio downplays the sweaty swagger and musicianship of their previous work in favor of sleekly eclectic overview of the last 50 years of pop music. Frontwoman Shingai Shoniwa scales back her Billie Holiday persona but is no less a dominant presence, showing herself to be equally adept at giddy twee (“Wild Young Hearts”) and crackling synth-pop (“Saturday”) as she is girl group sing-alongs (“Never Forget You”) and Brazillian-tinged acoustic pop (“Sometimes”). Most daring is “Don’t Upset the Rhythm,” a bubbly blast of four-on-the-floor disco that represents the antithesis of the raw traditionalism of their debut and crystallizes the litmus test this album represents.